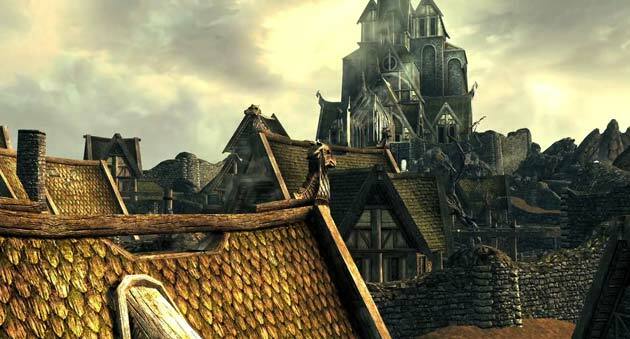 The Elder Scrolls series has been around for well over a decade, and it is still one of the most innovative and creative. Not only do you get to explore some of the largest games to have ever been created, you get to do so freely, meaning if you want to do nothing but walk around the world and kill things, you can do that and have fun doing it. While there have been leaps in graphics and game play over the years, the core of the game remains true to its roots. 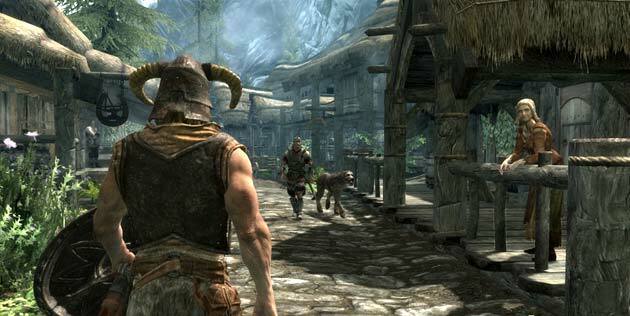 That said, The Elder Scrolls 5: Skyrim is the best game of the series. Since nobody likes spoilers, I’ll do my best to keep you interested just long enough to believe me when I say this game has one of the most engrossing storylines of any game on the market today. 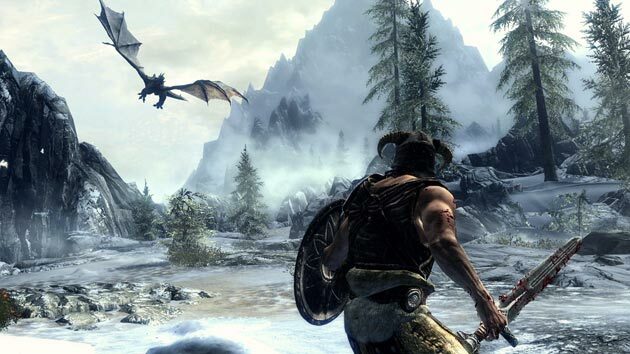 You play the role of a Dragonborn, which is a person with the power to take control of the situation that has plagued Skyrim; dragons. Dragons have begun manifesting and destroying towns and killing their people and it’s your job to find out why they’ve come back after being dead for so long. You’ll soon find out that you being there to help the problem is no coincidence. After all hell breaks loose, you’ll go on a series of epic adventures, all of which are incredibly exciting and interactive. The last Elder Scrolls games called Oblivion seriously improved on the game play from the Elder Scrolls games before that one called Morrowind. While Oblivion’s game play was a huge step up from Morrowind, it was still missing something. Skyrim changed all of that. Swords feel heavier, bows feel more powerful, spells feel more destructive, and even the blocking and two-handed swords feel much more…Real. I’ve been playing this game for months and the game play is still fun. The same couldn’t be said about previous Elder Scrolls games. One of the most obvious additions was the implementation of dual-wield for weapons and spells. This adds an entirely new field to the game. 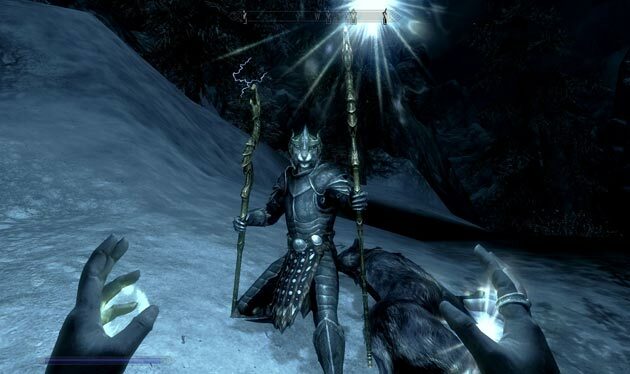 For instance, you can pull both triggers at the same time to cast a stronger, larger spell, and you can also use the same technique to use a power attack using both weapons on your enemies. As you can see, there are plenty of other combinations that you can use as well. It’s a blast to experiment. Fantastic! Even on a console that has extremely dated hardware, the game looks amazing. I was hoping that Bethesda would have created the game for PC so the game would look truly unbelievable and then port it to consoles, but they did not. This isn’t the end of the world, but you do end up with some muddy textures. Even so, everything looks polished and sparkly, and even more so on a PC running up-to-date hardware. 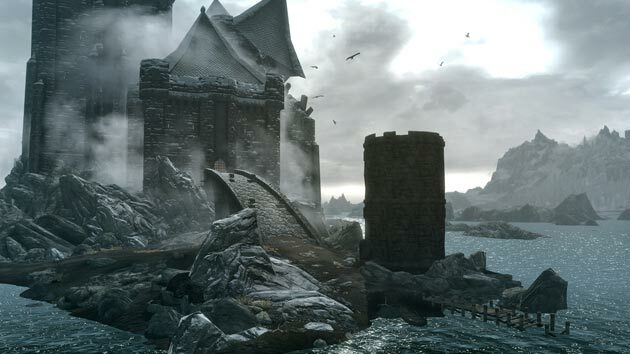 The wonderful Jeremy Soule is back for another encore, and he does not disappoint. If you liked his work from the past few Elder Scrolls, you’ll love his newest work. After only a few short hours of hearing this soundtrack, you’ll be humming the melodies in your head all day long. With a mixture of soft yet classical tracks and booming war themes, you really feel like you’re in a beautiful fantasy world. Well done, Soule! If you didn’t realize it already, you should buy this game. If you’re not sure if you like fantasy RPG games, still buy it. Even if you hate video games, buy it. You’ll never find a game that is so worth the 60 dollar price tag this year. After coming out of hiding in four months when you’re finally finished with Skyrim, feel free to thank me. Joe is a gamer by night and a professional writer by day. In addition, he maintains a series of Sunrise Toyota and online classifieds websites. 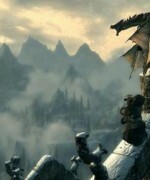 though Skyrim is amazing and i love it, i have to admit Morrowind is still better. I can’t believe I never read this review all this time! Now that I’ve played through it, I can insert my opinion. I was a HUGE fan of Morrowind. I had hundreds of hours of fun just running around with my incredibly overpowered Imperial and exploring; finding news quests and adventures to take part in, while collecting awesome loot and taking it to my makeshift base I set up in another dimension. Though I obsessed over Oblivion at first, playing it again just isn’t very fun. 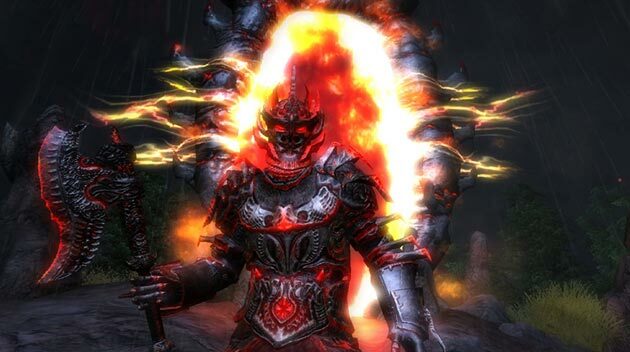 Going to Oblivion was no fun at all, and the gates that popped up all over Cyrodiil just annoyed me as I just wanted to explore the countryside and look for trouble. 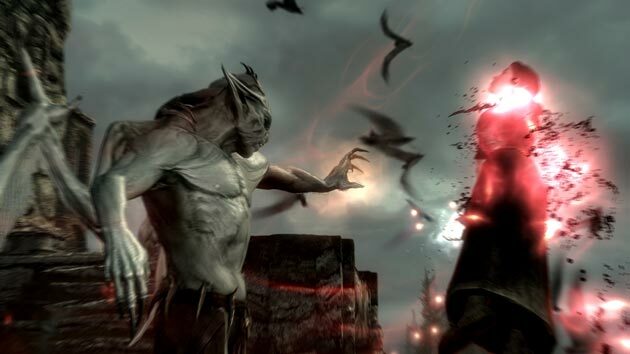 Though an improvement over Morrowind, the fighting system felt weak, and I found myself just sneaking through the whole game, rather than get smacked around by Daedra all day. 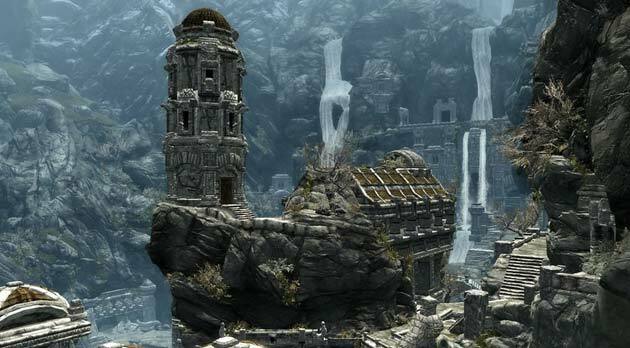 The greatest thing about Skyrim (for me) is how much it reminds me of Morrowind when I play it, and how it still feels like it’s its own game. Like Joe said, experimenting is an absolute blast. 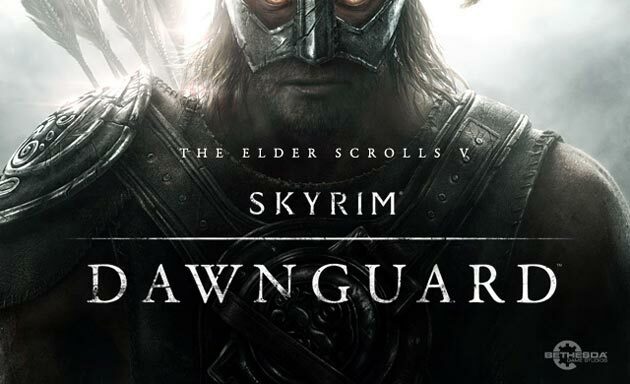 I played through as a Conjuration/Destruction focused Dark Elf, and then started two more totally different characters, which is something I’ve never done in a game as huge and packed with content as Skyrim. I totally agree that combat has seen a huge improvement, and using melee weapons is a blast, while maintaining a challenging system that keeps us from breezing through with a warhammer. So bottom line, I don’t think Morrowind can ever be replaced in my book as the greatest adventure game of all time. However, I feel Skyrim is the closest any game is going to come to that end, and it’s a much more satisfying sequel than Oblivion. Wow Jonathan, I’m glad you did find this review in the end, and took the time to give us your 2 cents… In fact your comment is almost a mini review of its own… love it!